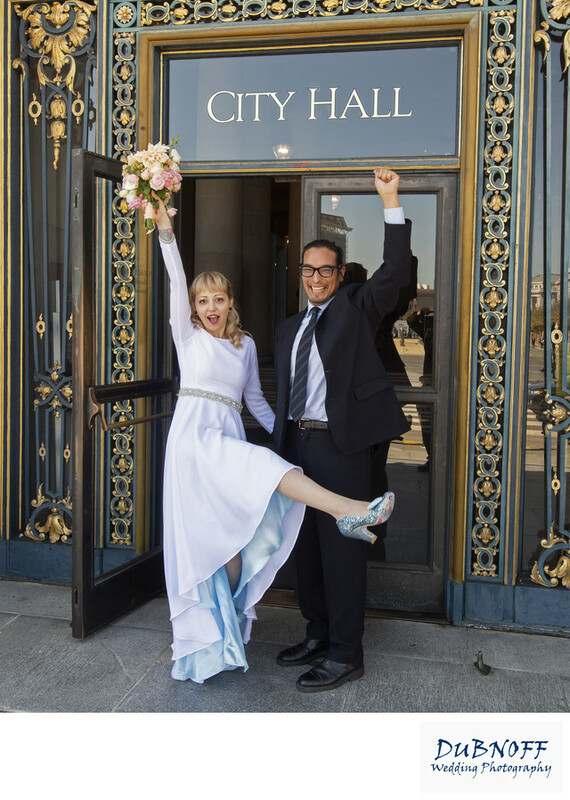 San Francisco City Hall Wedding Photographers - We did it, Yay! City Hall - We Did It! This couple gradually warmed up throughout the shoot as they became more comfortable with the process and the photography. Towards the end of our wedding photography session the bride was really having fun. The groom also warmed up and had a great time. I think it really makes a difference in the quality of the pictures if the couple is relaxed and enjoying the city hall tour. As wedding photographers, we do everything we can to help them with being more relaxed and comfortable.